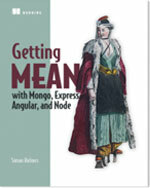 I write books on Node.js, the MEAN stack and surrounding technologies. 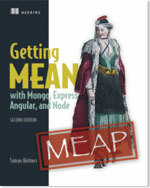 Mongoose puts the the data model where it belongs, in the application. 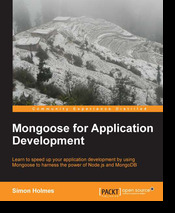 Mongoose for Application Development covers how to build a data-driven web application using Mongoose, along with MongoDB, Node.js and Express. I run Full Stack Training. 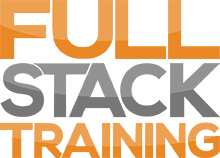 We focus on delivering Node.js, AngularJS and MEAN stack courses. Check us out and sign up for our free email mini-series. I write a blog at theholmesoffice.com. This is primarily a web development blog, currently focusing on the the Node.js ecosystem. Add me to circles on Google+ and I'll start using it more!